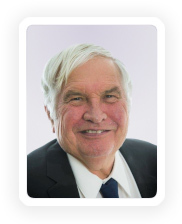 Dr Tom Cottee has served the South West since 1984 and has made enormous contributions to women’s health in the region. In 2006 he received an award for “Outstanding Service to Women’s Health in Bunbury” from the WA state branch of RANZCOG. 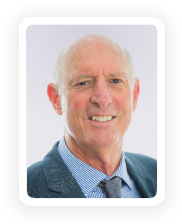 He was Chairman of the committee involved in the planning of the current Bunbury Health Campus, the inaugural Chairman of the BRH Board of Management and has over 20 years of service on the Medical Advisory Committee of both hospitals. He was the Provincial Fellow’s representative at Royal Australian & New Zealand College of Obstetrics & Gynaecology (RANZCOG) Council from 2006-2010 and was convener of the Provincial Fellow’s Annual Scientific Meeting at Broome in 2009. Dr Cottee is an examiner for the RANZCOG diploma examinations. 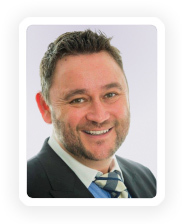 His clinical interests span the whole range of O&G services and include colposcopy, advanced hysteroscopic, laparoscopic, incontinence and prolapse surgery. Ben is delighted to be joining the team at South West Gynaecology. Having trained primarily at the Royal Women’s Hospital, Melbourne and King Edward Memorial Hospital, Perth, Ben worked as the Senior Registrar at Bunbury Hospital in 2013 and 2014, obtaining his FRANZCOG in February 2015. Ben provides comprehensive care across all spectrums of gynaecology, from subfertility to menstrual disorders and pelvic floor dysfunction to continence issues. Ben has a special interest in complex pregnancy care, particularly twins, and laparoscopic and pelvic floor surgery. Ben also co-ordinates the running of the public antenatal clinic, and assists with the training and education of junior doctors, medical students and graduate midwives. When not working Ben enjoys exploring the south west with his wife and four young sons. Stephanie is excited to join the team at South West Gynaecology as she completes her specialist training. Stephanie is WA born and bred, and graduated from UWA Medical School in 2006. She worked at Sir Charles Gairdner Hospital for two years before moving into Obstetrics and Gynaecology at King Edward Memorial Hospital in 2009. She is a final year Advanced Trainee in Obstetrics and Gynaecology. Stephanie joins the team as a surgical assistant and will be doing some consulting throughout 2018. She attains full specialist qualification towards the end of 2018 and will then provide the full range of Obstetric and Gynaecological services. She has a special interest in ultrasound, multidisciplinary women’s health care and medical education. When not delivering babies at 2am she loves to spend time with her husband and two boys in the beautiful South West. After extensive experience in rural practice in Carnarvon, Dr Ron Jewell joined Dr Cottee in 1995. He has special interests in urodynamics and management of prolapse and incontinence. He performs both advanced laparoscopic and hysteroscopic surgery and is also interested in pelvic pain and the treatment of sexual dysfunction. Dr Jewell contributes to the trainee program; the practice is actively involved in teaching and training medical students and future Obstetrics & Gynaecology specialists, both at the consulting rooms, Bunbury Regional Hospital, St John of God Hospital and Busselton District Hospital. Besides covering the full range of O&G services, Dr Jewell has been involved in introducing many new surgical procedures to the South West and is an accredited preceptor of many techniques. Following training in the USA, he has special expertise in cosmetic gynaecological surgery. Dr Dilum Madigasekara joined our team in January 2011 after working eight years for Queensland Health. He has over 20 years of experience in the Speciality of Obstetrics and Gyneaecology. Dr Madigasekara is trained and qualified as a Specialist in Australia as well as Sri Lanka. After migrating to Australia he underwent further training with special focus on laparoscopic surgeries , fertility care and IVF. He is also an active Fellow of the Royal Australian and New Zealand College of Obstetrics and Gynaecology. Dr Madigasekara is a board member of examiners for RANZCOG and currently Training Supervisor at the Bunbury Campus. He provides his Obstetric services at Bunbury Regional Hospital and St John of God Hospital Bunbury. Dr Madigasekara offers all services in Obstetrics including normal deliveries, VBAC, ECV, instrumental deliveries and Caesarean sections. He is happy to provide shared care and readily available for emergency obstetric situations. 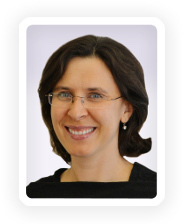 Dr Diane Mohen joined our Practice in 1996 and worked on a full time basis until the beginning of 2010. She became very interested in the administrative aspect of providing Obstetrics & Gynaecology services, not only in the region but also state and nationwide, and left the practice to focus on this area of interest. Dr Mohen continues to work at South West Gynaecology as a locum to cover for leave. 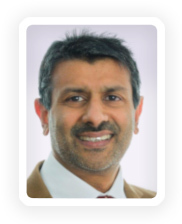 Dr Opie is a consultant endocrinologist, and joined our practice in 2015. She is interested in endocrine disorders in pregnancy, women’s health, PCOS and infertility. 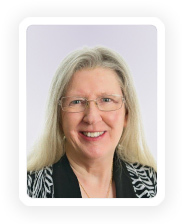 She also enjoys all aspects of general endocrinology including metabolic bone disorders, thyroid health, pituitary disorders, adrenal disease and diabetes. 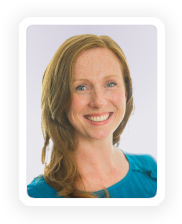 She undertook her endocrinology advanced training in Canberra and Sydney, with additional experience in androgen excess disorders (including PCOS) in Athens, Greece. She also has an appointment as consultant endocrinologist at the Keogh Institute of Medical Research at Sir Charles Gairdner Hospital in Perth. 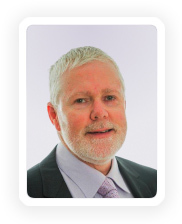 Dr T Derek Wilson joined our Practice in 2001. Prior to this time he had seven years extensive experience in rural General Practice. Whilst retraining as a specialist Dr Wilson spent time in Bunbury as a Registrar and liked it so much he returned to South West Gynaecology two years after graduating from RANZCOG. He provides the full range of O&G services.